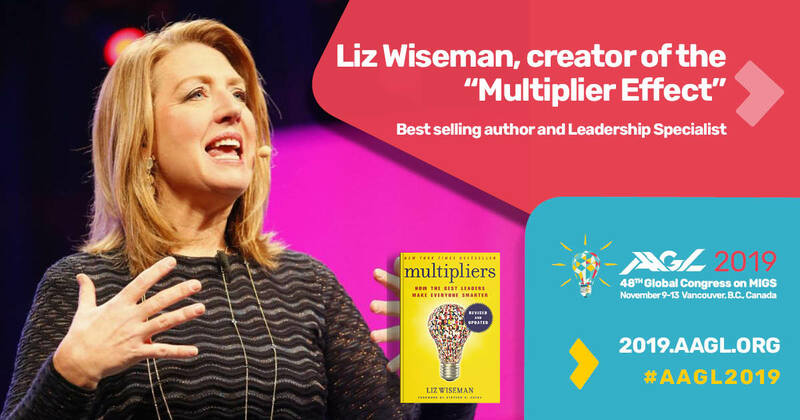 A perfect match: this year’s Global Congress theme, Be a Surgical “Multiplier” in MIGS—Inspire Brilliance Through Teamwork, and a keynote address by the woman who “wrote the book”, Liz Wiseman, author of the New York Times bestseller, Multipliers. Ms. Wiseman will discuss how the leadership concepts she developed extend beyond the boardroom to the operating room, to our practices, and to each one of us. According to Ms. Wiseman, Multipliers are “leaders who use their intelligence to amplify the smarts and capabilities of the people around them. When these leaders walk into a room, light bulbs go on; ideas flow and problems get solved. These are the leaders who inspire the people with whom they work to stretch themselves and surpass expectations. These leaders use their smarts to make everyone around them smarter and more capable.” The natural opposite of a Multiplier, of course, is a Diminisher. A Diminisher is one who “drains intelligence, energy, and capability from the people around them and always needs to be the smartest person in the room; [they] are the idea killers, the energy sappers, the diminishers of talent and commitment.” She will teach and inspire us to be effective leaders—Multipliers! From the very first page of her book, Ms. Wiseman captivates the reader; she begins with a quote from Bono: “It has been said that after meeting with the great British Prime Minister William Ewart Gladstone, you left feeling he was the smartest person in the world, but after meeting with his rival Benjamin Disraeli, you left thinking you were the smartest person.” She offers case studies and examples of Multipliers and Diminishers, along with ways to identify where on the spectrum (and it is a spectrum) one falls. She also offers tools and ideas for dealing with Diminishers, self-identifying whether one is an Accidental Diminisher, and working toward becoming a true Multiplier. The application of her concepts to our medical and surgical world will add a unique twist on surgical leadership. If you want to get a head start on the Congress this year, you are invited to read ahead! Becoming better than we are individually and inspiring our teams to be more than additive, we seek to be Multipliers and we are honored to have Liz Wiseman join us. This year’s Global Congress, with the exceptional PG course and lab offerings, plenary sessions, live telesurgeries, networking, and more, will certainly leave you motivated to be a Multiplier at home, at work, and beyond! Registration and housing opens very soon! 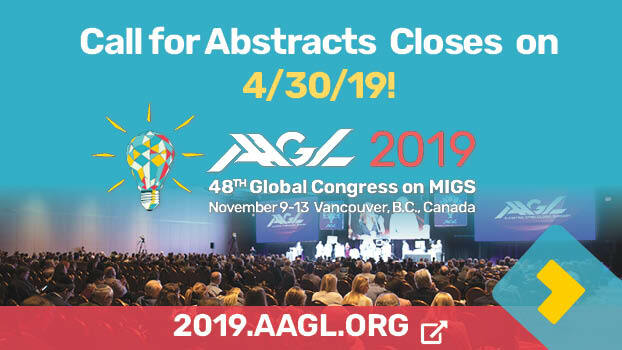 The 48th AAGL Global Congress on MIGS will be held November 9 – 13, 2019 at the Vancouver Convention Centre in Vancouver, British Columbia, Canada. Visit https://2019.aagl.org/ to review the preliminary scientific program, explore the optional activities offered to enrich your visit to Vancouver, and join the conversation at #AAGL2019 on social media. I look forward to welcoming you to Vancouver! Ms. Wiseman is a researcher and executive advisor who teaches leadership to executives around the world. She is the author of New York Times bestseller Multipliers: How the Best Leaders Make Everyone Smarter; The Multiplier Effect: Tapping the Genius Inside Our Schools; and Rookie Smarts: Why Learning Beats Knowing in the New Game of Work. She is the CEO of the Wiseman Group, a leadership research and development firm headquartered in Silicon Valley, California. Some of her recent clients include: Apple, AT&T, Disney, Facebook, Google, Microsoft, Nike, Salesforce, Tesla, and Twitter. Ms. Wiseman has been listed on the Thinkers50 ranking and named one of the top 10 leadership thinkers in the world. A frequent guest lecturer at BYU and Stanford University, Ms. Wiseman holds a bachelor’s degree in Business Management and a master’s degree in Organizational Behavior from Brigham Young University. 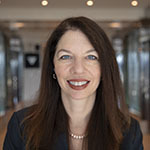 Jubilee Brown, MD, is the 2019 Scientific Program Committee Chair and incoming Vice-President of the AAGL Board of Directors. She is a Professor and Associate Director of Gynecologic Oncology at Levine Cancer Institute, Carolinas HealthCare System.